Tiggy has a big imagination, and big feelings too. 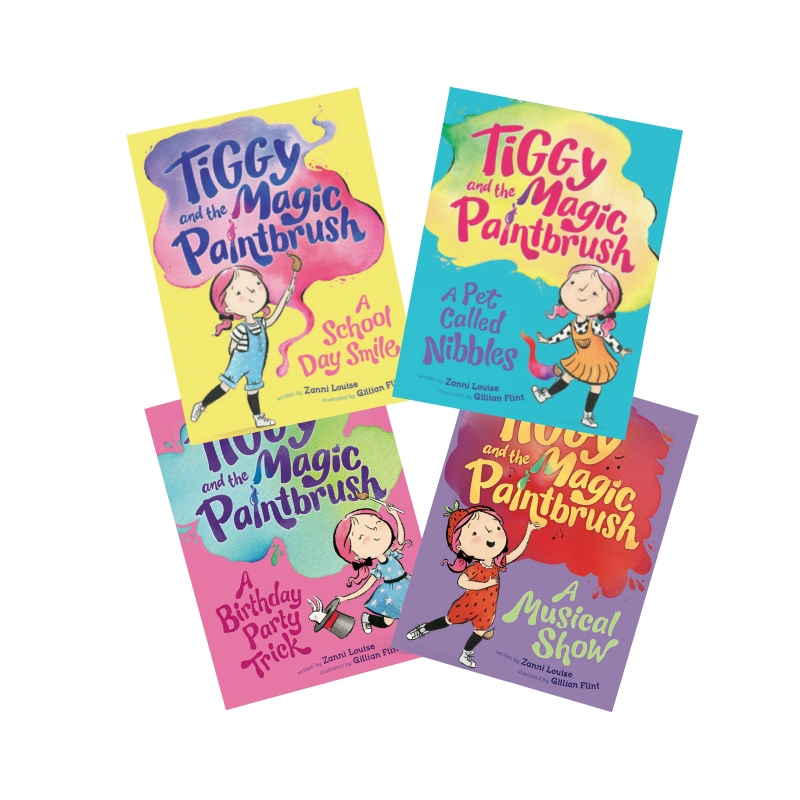 But everything is A-Okay, because Tiggy has a magic paintbrush! Tiggy uses magic to get herself out of trouble, but it sometimes gets her into more trouble than she started with. Can Tiggy solve her problems using her feelings and imagination instead? Books 1-4 are now available in all good bookstores. The series so far includes: A School Day Smile, A Pet Called Nibbles, A Musical Show, and A Birthday Trick. This series is for young and old, but can be read by newly independent readers. Illustrations are by Gillian Flint.